This Essteele Per Vita 28cm nonstick Open French Skillet is a pleasure to cook with thanks to the solid copper that is spread across the induction suitable base, allowing heat to disperse evenly and quickly. This results in optimum heat control and perfect cooking conditions favoured by the most discerning cooks. The elegant and refined design is crafted from high quality polished stainless steel for superior durability and shine. 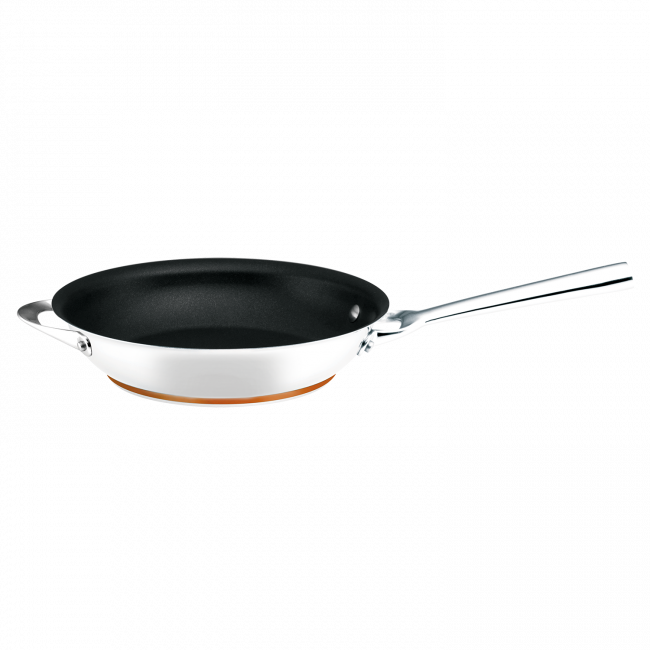 The handle is crafted from stainless steel to ensure this 28cm nonstick Open French Skillet will last a lifetime. This skillet is dishwasher safe, and oven safe to 240°C for added convenience. 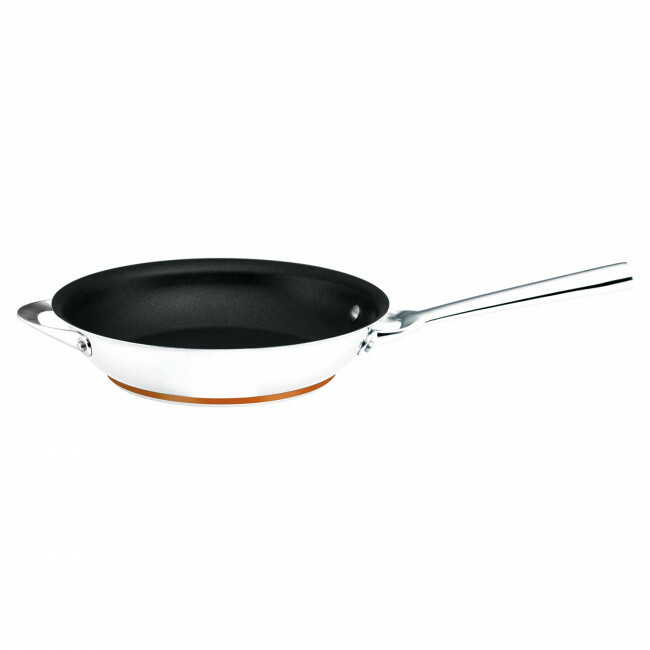 Essteele Per Vita Non Stick 28cm Open French Skillet is rated 5.0 out of 5 by 5. Rated 5 out of 5 by Louise Dianne from Great heavy duty frypan I bought this a month ago & I am very happy with it. It is an excellent size to cook a meal for 2 or more people. The extra handle makes it much easier to lift on & off the stove. As all Essteele pans you get what you pay for & the quality is excellent. I bought my last set of Essteele saucepans for my daughter & her family 15 years ago & they are still going great today. I think it really is the best brand on the market. Rated 5 out of 5 by Ambie from Great non stick! I have a few pans like this. Prefer to Tefal. This one is a great size and we use it the most! Rated 5 out of 5 by Nickvdv64 from Extremely well made I have used many frypans in my life and I can honestly say this one is definitely one of the best. It can withstand extremely high temperatures and is the easiest thing to clean.